Tonight at 11pm on the Community channel you can see ‘Issues With My Tissues’ a documentary which follows the incredibly brave journey of Lara Bloom, an Ehlers Danlos Syndrome Hypermobility type sufferer, as she attempts to complete the London Marathon. 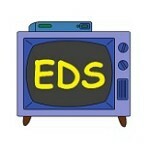 The program also features other people with EDS and their families discussing the many varied problems they face. From the joint, cardiovascular and digestive problems common with Hypermobility type, to the sometimes fatal complications of Vascular type. Professor Rodney Grahame, an exceptionally nice man and specialist in hypermobility, also appears in the program. Professor Grahame diagnosed me with EDS Hypermobility type some 14 years ago. I’ve already seen the program and found it both moving and inspiring, but I’m rather biased. Why not tune in and see for yourself? Thank you to everyone involved in the documentary for helping raise awareness of our condition. Also very very well done to Lara Bloom, extraordinary! ***UPDATE***: You can now see the program at any time on Youtube: ‘Issues With My Tissues’ on Youtube. You can next see ‘Issues With My Tissues’ on the Community Channel on 26th April at 10pm. You can find the Community Channel on the following channels: Sky Channel 539, Virgin Media Channel 233, Freesat Channel 651, Freeview Channel 63 (SD) and 109 (HD). If you would like to help the charity to support people with Vascular type EDS, please text EDS3V to 70300 to donate £3. ‘Help Make Our Invisible Visible’ – Ehlers Danlos Support -UK. This is a fascinating documentary about a brave woman. Prof Grahame’s contributions are very useful and I learned a lot. Many thanks to the Community Channel for providing the opportunity. It’s an amazing achievement. I wish I’d done something similar when I could still walk well. But as someone with the same condition I don’t like to think about how much pain she went through afterwards. I haven’t seen Prof Grahame for a few years. He’s a lovely man and always fascinating to talk to, so it was great to see him in this. – What a great program. Well done to all involved.